This Is Hot Bowga | Listen Free on Castbox. 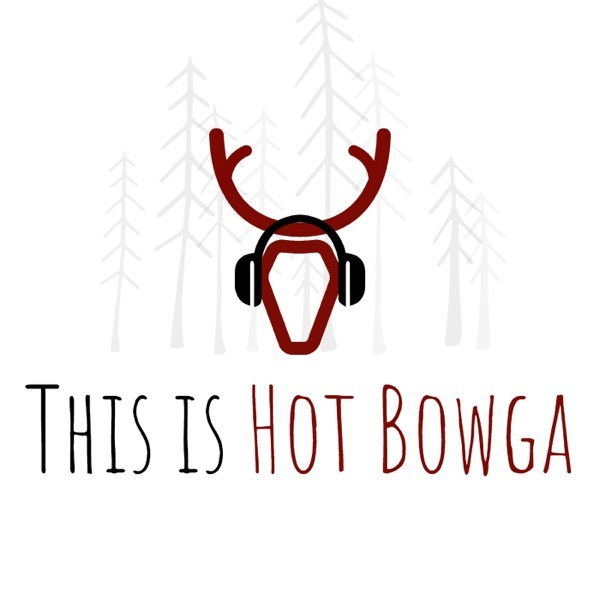 Welcome to the official This Is Hot Bowga podcast! Where it's kinda like yoga, but with bows. Hosted by: James Zandstra, Jared Gortsema, and the one and only Joe Fichter! This episode we dive into survival and bushcraft. Listen in as Kevin Estela talks some history, using snow as TP, and backcountry hubris. Kevin also discusses his new book "101 Skills You Need To Survive In The Woods" and the need to have a healthy paranoia. Don't miss out and don't forget to subscribe and check out our Instagram Account: @HotBowgaShow Notes:- Kevin's background and teaching some youths- A history lesson on Mongol civilizations, archery, and the Princess Bride- Bushcraft and doing more with less- Living in Philippines jungles and caves- Crossing a Mexican Dessert with no water or food- Most useless thing in your back? (a classic)- How to pick a camp spot- The benefits of using snow as TP (fresh as a daisy)- Impressing women/working with people using survival skills- Being ready for a zombies/healthy paranoia- Topography readying and back country hubris - Thanking Kevin for teaching us how to not die and info on Kevin's book. Have you ever hunted Dall Sheep in Alaska's Brooks Range? Tag has. Last year, Tag joined and then was promptly kicked out of the Wild Sheep Foundation's >1% Club (he tagged out).This is one of the most fun hunting stories you'll hear so make sure to check it out and don't forget to subscribe to the podcast!We're also on IG: @HotBowga. #022 Hot Bowga Meets Donnie Vincent! We at HotBowga had the pleasure of talking to Dennis Stokes from Initial Ascent. Dennis was kind enough to discuss this past show season, deterring grizz, and a few stories from hunting in Idaho. This is one you won't want to miss!You probably also won't want to miss out on our great Instagram content: @hotbowga Subscribe and rate the podcast to show us your love! We'd really appreciate it. This week we got to talk with Adam White, the Aussie visionary behind Northern Broadheads. Listen as we discuss hunting in the outback, proper arrow tuning, and wheelie bows.And if you really want to impress us, subscribe to the podcast, rate us on iTunes, and check out our instagram page: @hotbowga for more awesome content. Looking to get inspired? Look no further than this conversation with Sidney Smith. Sid is an awesome dude, a killer in the back country, plus he's got one amazing story. Check it out!